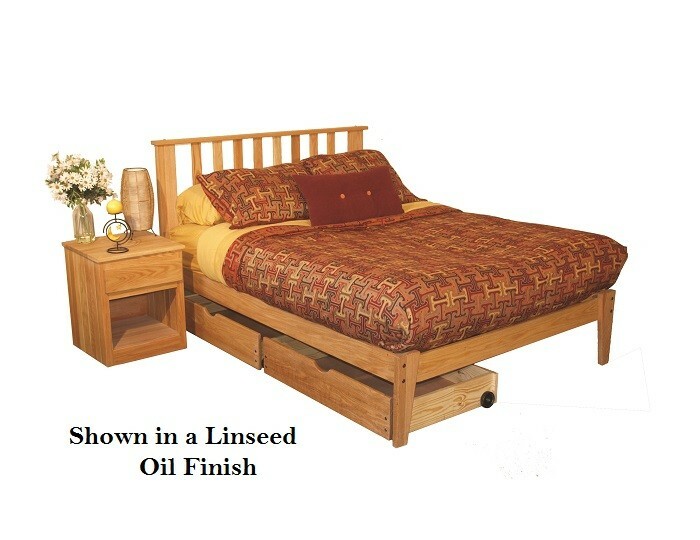 A timeless beauty and an American original, this Mission-style platform bed is made of solid Red Oak that will last a lifetime — at a great price! Doctor’s Note: Oak (lumber) prices are way up, so Buy NOW and Save (before our prices go up)!! Our Oak Mission platform bed frame, the core of our new sustainably-produced Oak bedroom line, is a timeless classic – perfect for any bedroom, any age, any decor. 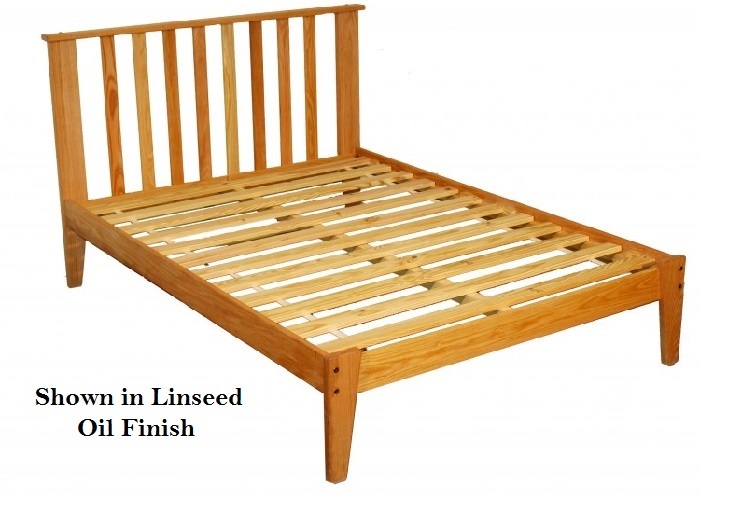 Hand made of premium Pennsylvania Red Oak (the best Oak in the world), this eco-friendly Oak Mission Platform Bed frame is built to last a lifetime and now is part of a complete collection! 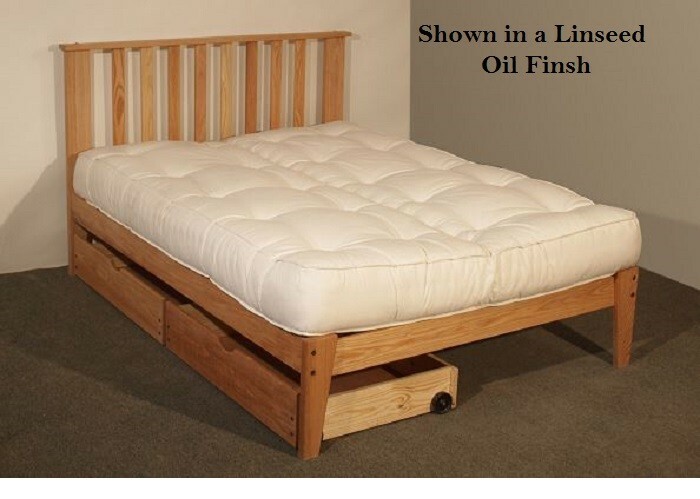 Like all of our platform beds, this frame does not require the use of a foundation or box spring and we use Southern Yellow Pine bed slats for their strength to create a strong platform for your mattress. 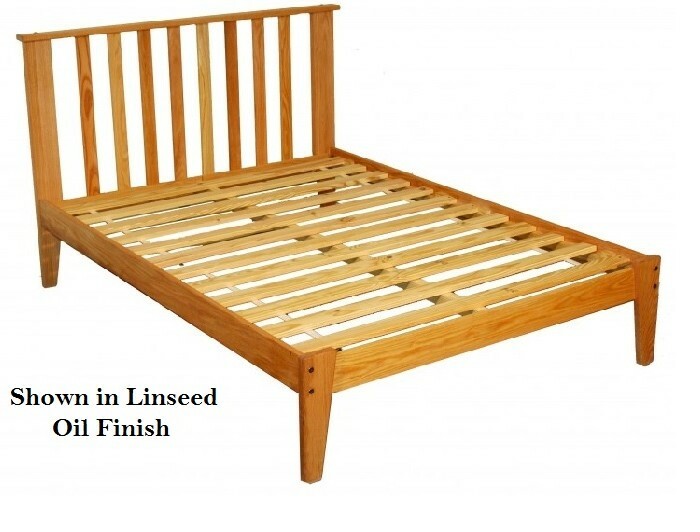 Full and Queen sizes have a full-length mid-support and the King bed has two. 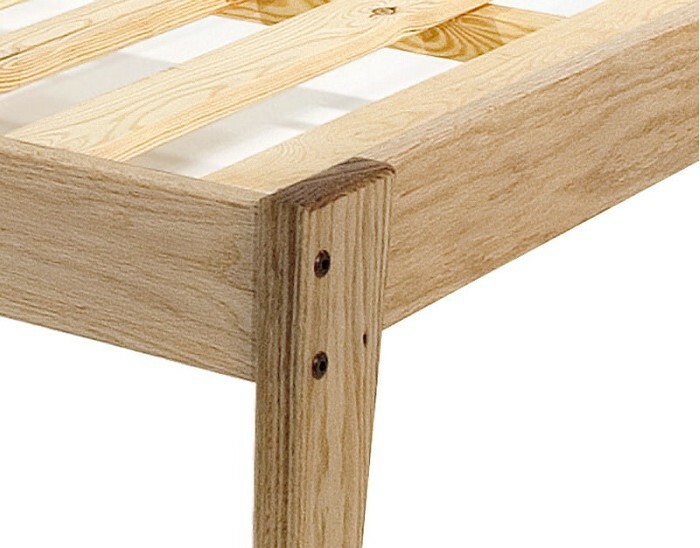 The 12 bed slats provide solid support but allow room for good air circulation (18 slat upgrade available). The rail height is 15 Inches while the actual platform height is 14″ providing a 1″ recessed area for your futon or mattress to drop into. The under-bed clearance is 10.5 Inches below the rail, so lots of storage space is available below (for our underbed drawers on wheels if you wish). Comes with a 12-slat foundation. Upgrades to 18 slats are available – call for details. Solid 14″ high platform is super strong and quiet – No squeaks!